VietNamNet Bridge - A National Assembly resolution stipulates that the overall goals of Vietnam’s economy in 2019 are stabilizing the macro-economy and controlling inflation. Last year Vietnam obtained a 10-year record high GDP growth rate of 7.8 percent, while the CPI increase was low at 3.54 percent. Economists believe that Vietnam will be able to both continue to gain high economic growth rate and keep the inflation rate at 4 percent in 2019. There were three major factors that led to the sharp rise in CPI in the first months of 2018, namely, the crude oil price, pork price and dong/dollar exchange rate. Meanwhile, the factors are expected not to appear in 2019. The prices will drop this year or be stable. 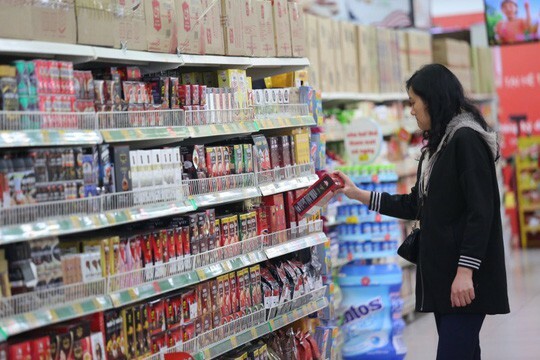 “Without the ‘stimulants’, curbing inflation at below 4 percent is within reach,” Nguyen Duc Do, deputy head of the Economics & Finance Institute, said. The expert said that the pressure on the dong/dollar exchange rate in 2019 is expected not to be as severe as in 2018. Meanwhile, the escalation in the US-China trade war has cooled down. Vietnam is now in favorable conditions to control inflation. The CPI increased in recent years, but was lower than 4 percent, while the core inflation rate was below 2 percent. Goods supply is also plentiful and the macroeconomy is stable. However, economists warn that curbing inflation will be a challenging task in 2019. Ngo Tri Long, a price expert, pointed out a number of factors that would have impact on goods prices, including the minimum wage increase, commencing January 1, 2019. Besides, the increases in electricity price and the prices of some essential goods controlled by the State are anticipated. Vietnam will also bear influences from dollar appreciation and increases in public service fees. Le Quoc Phuong from the Vietnam Industry & Trade Information Center also sees pressure on the dong/dollar exchange rate and inflation as the US FED plans to raise the prime interest rates twice at least in 2019. An analyst expressed doubts about the feasibility of the plan to curb inflation at below 4 percent. “Vietnam strives for high GDP growth. In order to obtain this, it will have to accelerate investment and pump more money into circulation. This will push inflation up,” he said. He also noted that the plan to raise healthcare and education fees, and the environmental protection tax on petrol products, will also put pressure on inflation.